While most Republicans in Congress remain firmly in the pocket of fossil fuel companies, some Republican governors support renewable energy because they see the benefits on the ground. 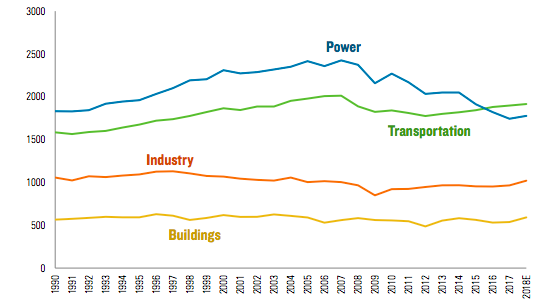 Solar and wind have become crucial for their economies as job engines, sources of local tax revenue and lower electricity prices. 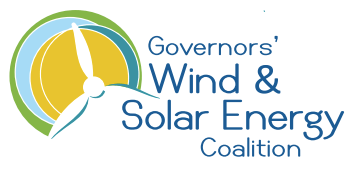 Therefore, 8 red state governors joined blue state governors in a letter to President Trump from the Governors Wind & Solar Energy Coalition. “The nation’s wind and solar energy resources are transforming low-income rural areas in ways not seen since the passage of the Homestead Act over 150 years ago,” the governors say. “For example, U.S. wind facilities pay rural landowners $222 million a year, with more than $156 million going to landowners in areas with below-average incomes. In addition, $100 billion has been invested by companies in low-income counties, where some 70% of the nation’s wind farms are located.” For solar, they point out that most installations are also in rural areas, providing landowners a new revenue stream. After several years of haggling, Michigan‘s legislature voted to raise the state’s Renewable Portfolio Standard (RPS) to 15% renewable energy by 2021, up from 10% now. They also voted to keep a state standard that requires utilities to improve energy efficiency 1% a year, with incentives to exceed that. The state’s new goal, although voluntary, is to provide 35% of electricity from efficiency and renewables by 2025. Michigan’s RPS has been a boon to the state. Since 2008, when it set the 10% goal for renewables, nearly $3 billion has been invested in 1.7 gigawatts of wind, according to Advanced Energy Economy. They met the 10% target in 2015, and another $2.5-$4.3 billion is expected to pour in to reach 15%. In Ohio, Governor Kasich vetoed a bill that would make the state’s RPS voluntary for the next two years, after freezing it for “further study” over the past two years. The struggles we’ve seen in the states over the past years began in Arizona, when regulators attempted to charge solar owners fixed monthly fees because they are “free loaders” on the grid. Since then, there’s been a big fight in the state – which has spread to most states – on whether to charge solar owners and whether and how to pay them for the energy they send to the grid. In December, the state eliminated retail net metering, where solar owners are paid retail electricity rates for their energy. Instead, they will be paid much lower wholesale rates, and only guaranteed for 10 years instead of the 20 years wholesalers get. This month, one state utility, Tucson Electric Power, won the right to also charge monthly fees. While it may not seem like a big deal, this puts Arizona’s residential solar market at risk of “falling out of the top 5 state markets,” says Cory Honeyman at GTM Research. It means that solar owners will likely turn to keeping all their energy in batteries and through load management, rather than sending it to the grid.